Alternative financing has become indispensable to small businesses.. In Northern Italy, the notion of alternative finance and flexible borrowing has been commonplace for more than 60 years. 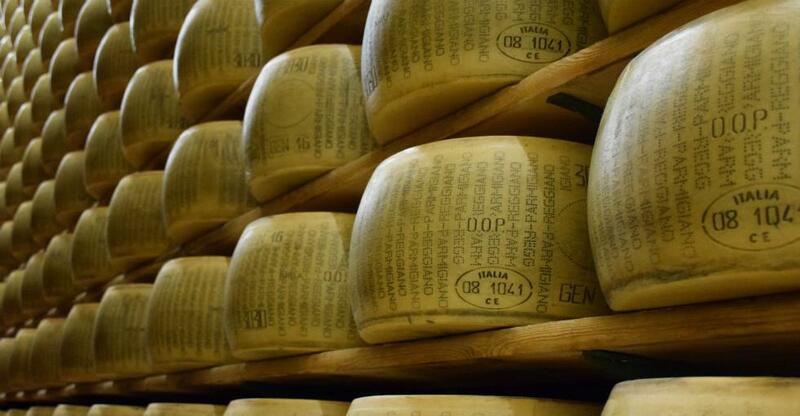 As far back as 1953, the regional Credito Emiliano bank began to accept giant wheels of Parmigiano Reggiano cheese as collateral for small-business loans, helping farmers in the local area of Emilia Romagna secure flexible finance – and somewhere to store and age their product. This offers a prime example of how financing can be structured to provide innovative, tailored and flexible solutions to local businesses. It wasn’t until the immediate aftermath of the recent Great Recession, however, that this type of diverse borrowing became commonplace in the business market, as alternative lenders stepped up to fill the void created by increasingly risk-averse banks. The lending industry has thus undergone significant changes during the last seven years, creating opportunities for small businesses when they need them most. Alternative lending has evolved quickly to cope with the demands of the modern economy and helps companies access structured loans that empower their everyday operations. Perhaps the best example is invoice financing: a flexible and short-term lending vehicle that is ideal for small and independent businesses. This allows companies to negate 30, 60 and 90-day payment terms, by selling their accounts receivable to third-party investors. This ensures that entrepreneurs can maintain an optimal level of cash flow at all times, as they strive to fund everyday operations and continually reinvest in growth. The amount borrowed can simply be repaid once clients have settled their invoices, with the added advantage of minimising the level of long-term debt. While this highlights the greater accessibility and suitability of modern alternative lenders, it is also part of a wider transition in the financial and commercial marketplace. More specifically, lenders and governments are tailoring monetary policies to adapt to how businesses source, save and leverage capital in 2017. For example, Australia’s federal budget for 2017 includes proposals to end the double taxation of digital currencies such as Bitcoin in a bid to deliver tax breaks to businesses and cut operational and compliance costs. Alternative lending has taken the financial market by storm since the Great Recession. Its numerous vehicles have evolved to provide the tailored fiscal solutions that modern businesses crave. It has gained even greater importance in the current climate as geopolitical and economic uncertainty continues to create volatility. Even Australia, which has recorded constant growth since the turn of the century, has experienced a decline during the last three financial quarters, with the state of the ASX 200 highlighting just how far the nation's financial sector has fallen in recent times. With the Aussie economy now hovering on the precipice of recession, business sentiment is in freefall. It is imperative that brands have alternative lending options to lay the foundations for growth. Elsewhere in the world, the spectre of Brexit and increasingly protectionist outlook of nations such as the US seems to herald the end of globalisation. This will place restrictions on global trade opportunities, potentially reducing turnover and profitability for businesses in specific industries. In this respect, alternative finance will play an increasingly seminal role over the months ahead, as businesses look to strike a delicate balance between consolidation and growth in a challenging climate. Marcus Turner Jones graduated in Economics from the University of Sheffield before pursuing a career as a Market Analyst in London.